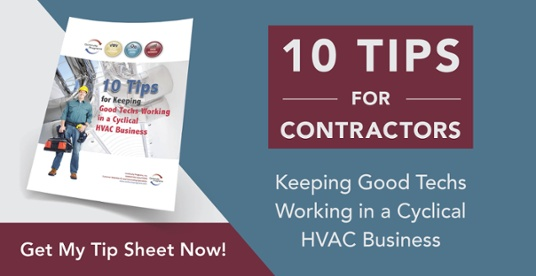 In your HVAC marketing strategy, it’s important to remember that retaining customers is just as essential as bringing in new customers. 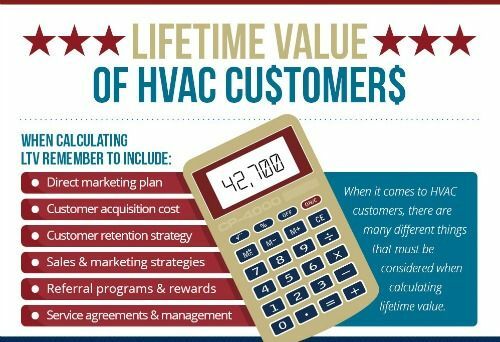 This is because the lifetime value of an HVAC customer can continue to bring in revenue for your company. Calculating lifetime value is a good idea to help give your business undeniable proof that retaining customers is one of the most profitable things you can do for your business. Let’s take a look. New customer acquisition costs on average $250-450. The initial service you provide a first-time customer could range anywhere from a couple hundred dollars to a few thousand, so that first profit is ambiguous. But if you’re able to keep a customer coming back, you need to realize how many services and replacements they’re likely going to need over the years. New furnaces, ACs or heating pumps, regular service calls, and more, really add up. Based on an average 30-year customer lifespan, you’re looking at a total $42,700 value (with inflation). That’s a huge ROI in your HVAC marketing. So, how do you keep customers for life? 1. Offer return discounts. Give customers incentives and reasons to come back. This doesn’t have to be a huge discount–anything counts, really! 2. Focus on customer service. Utilize both in-person and online customer service to really step up your game for your customers. Respond to all online mentions and messages and ensure you’re always returning emails and phone calls in a timely manner. 3. Stay top-of-mind. Keep an updated database of all customers and regularly reach out to them. This can be done in many ways, like sending a postcard or email, or even giving them a call to see how their systems are holding up. Automating this client retention process is possible with technology. Keeping customers happy and coming back to your business doesn’t have to be hard, and it doesn’t have to be expensive. Remember, you want to keep that lifetime value as high as possible! Contact us today to schedule a demo and start retaining your customers for life.